If you have been paying attention over the past year you will have noticed how much emphasis has been placed on cryptocurrency trading. Everyone is talking about it. News channels are running endless broadcasts. Well known investors have all chimed in on the future of the digital assets. This all leaves a really important question. How does one actually get involved in trading cryptocurrency. Which services do you use and what coins do you consider buying. How much should you invest and what strategy will you use? 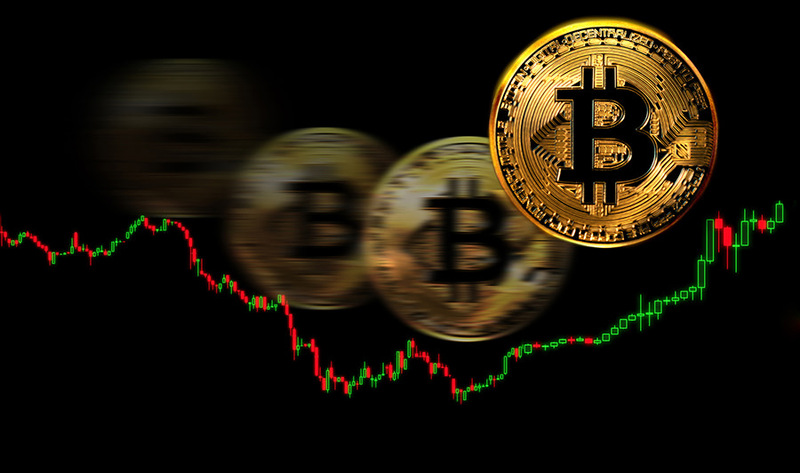 In this short post, we will attempt to answer all of these questions and give you a comprehensive overview of the best way to trade crypto. Before you can begin trading crypto, you need to have a broker or exchange account in order to buy / trade the coins. Which one you decide to use depends on what sort of trading strategy you want to embark on. If you are the more of the “Buy and Hold” type of trader, then you are better served to open an account with a cryptocurrency exchange such as Coinbase, buy the coins and store them in the wallet. However, if you are interested in trading your coins on a daily / weekly basis then you are better served opening a brokerage account with a CFD broker. We are going to look at the analysis assuming that you are going with this option. There are a number of CFD brokers that you can use but it is perhaps the wisest to make use of a regulated broker. This way you are protected in the case of any liquidity shortages at the brokerage level. One of the most renowned brokers that you can use is IQ Option. They are based in Europe and are fully regulated. There are numerous benefits over similar platforms that we will not go into here. You can always read about IQ Option in online reviews. Before you can move onto which coins you would like to trade, you have to decide on the type of strategy that you would like to trade with. This is because many of the coins that you would consider are too small to run technical analysis with. These small cap alt coins would be better served if they were traded as some more fundamental weekly based strategy. For those who do not know, technical analysis is the practice of trading an asset based on information that is provided in the price of that asset itself. There is no fundamental information that is included in this analysis. Fundamental information is based on the underlying technology, supply / demand and team dynamic that drives the value of the coin. It is up to you to decide which strategy is better suited toy your investing style and there are a number of cryptocurreny options. This is of course the most important part and it comes down to which coins you should actively consider investing in. This is of course no small feat as there are indeed thousands of coins that are available. If you are going to be trading with technical analysis, then you are better served trading a coin that has a high market cap and is highly liquid. This is because you want to try and eliminate any idiosyncratic or non systematic risk form your trading. Currently, the two coins with the largest market cap on the market are Bitcoin and Ethereum. These will have the volume that is required in order to trade and are most likely to conform to the typical technical analysis indicators. If, on the other hand, you are more interested in investing based on project fundamentals, team members and technology protocols, then there are range of other alt coins that you can consider investing in. What is most important though is knowing exactly what you are investing in as it is based on the fundamentals and not the price. You need to read the whitepapers, research the team and compile your analysis. Only then can you confidently say that you have picked out a great project. It is also really important to make sure that you are spreading your risk out across a wide range of project types. For example, you should have a coin that is focused on privacy, a coin that is focused on payments and another that is focused on programming. This is also another really important factor to consider. How much you are willing to invest will be the driving factor in your returns / losses. It probably goes without saying that you should never invest more than you are willing to lose. That goes for investment in traditional asset classes as well as crypto. You should only take a small proportion of your savings as your cryptocurrency investing pot. Then, once you know exactly how much you are going to “play” with, you have to have a strong strategy of how you will realise your gains and cut your losses. This is particularly relevant in the case of technical analysis day trading. Here, you are often trading on leverage and if the markets move against you, it is completely possible that could lose way more than you initially invested. Hence, it is really important that you place tight stop losses around your positions. These are orders that are placed automatically when your position is above or below a certain level. They are used by all day traders. As we have shown, investing in cryptocurrency is no small feat. There are number of things that you have to consider before you start. It is important for you to make sure that your motivations and strategies are well thought out. With that being said, it can also be one of the most rewarding. You are participating in the new economy and you are investing in assets that are set to revolutionise the financial world. Just make sure that you are investing responsibly and not taking undue risks. Always limit your exposure and know when to exit a bad trade. PowerPoint templates are one of the quickest ways in which a professional can relate information to a large group of people quickly and visually. As such free templates for PowerPoint have populated the internet, making for rather repetitive selections. Those wishing to break away from the cliché and the mundane must therefore have other elements within their template to engage the viewer. And while adding the transitions and the animations available in the program may give a low level of engagement with the PowerPoint, 3D elements can dynamically change the level of professionalism in your template. Here is how. The background pictures which are generally provided for PowerPoint images is rather restrictive. Gradients and clip art dominate the software. However, to bring a new level of dynamics to your template, use a 3D model and render out an interior space. Since you can adjust the opacity and the saturation of the picture, you can still keep the color scheme of the presentation, but now your background will have depth. In addition to having a static 3D image as your background, you can also use a 3D render to adjust your template for more personal use. For example, if you open PowerPoint and use the standard Gallery settings, it is pretty cookie cutter in nature. However, if you were to change the background image from the standard wood floor white look to a museum or art gallery render, the feel would look different. The same is true for office spaces. If you want your viewers to associate your presentation with your office, take a HD picture of your office and use it as the background. PowerPoint templates tend to be rather flat in their design. Sure, you can get some drop shadow and some beveling options, but adding 3D elements is one of the best ways in which to make a certain part of the presentation POP. The good thing about 3D models is that there are a ton of free and inexpensive options available. Places like CGTrader have models in a range of categories from the anime warrior to the suit and tie politician. Don’t need a character? Use a prop. Chairs, furnishings, homes, pencils, cars, you name it are all things which can drive the focal point and the message you are trying to convey. When picking your 3D models, ensure that you have the software to render a PNG image of the character. This will provide you with a clear background around the character while still giving the character the depth, light, and shadows needed. Should you not have the software you could either (a) download the trial version or (b) contact the artist and ask that person to render out the character in PNG format. Should you really wish to bring up the level of your PowerPoint template, you can do some animations using 3D renders and motion paths. This is a bit of an advanced process, but there are a great many tutorials on how you can add such transitions and animations to your scene. Doing cross reveals, sliders on a motion path, and revolves are a great way in which you can couple your 3D, your static text, and animations to bring your presentation to a new level. Keep in mind that you can also add YouTube videos into your presentation as well. Should you wish, for example, to show the entire space of an architectural conceptualization to a potential client in your PowerPoint presentation, you would need to have a 3D model of the building and then render out the 360 of the space. In order to present the video without having to open several programs, link the video via embedded link into your presentation. When designing your template, be cautious of the number of videos you embed as this could potentially cause slags and freezing of the presentation depending on the machine and version of the software that you own. Note: Animations should be kept to a reasonable level as adding too many moving parts to your PowerPoint template could be distracting to the viewer, taking away from the information you are trying to relate. Whether you choose the subtle 3D or the more dynamic options, using 3D in your PowerPoint templates is sure to add dynamics and something unique to the presentation. Remember, people are more prone to remember visual data. Present your viewers with something that sets your presentation apart from the other cliché templates and presentations which are available. It does not have to be cinematic to be impactful, it just need to be impactful to be remembered. How you do that is up to your imagination. If you are new to online casino gaming, you may feel overwhelmed when you first visit an online casino. Some of the top online casinos offer hundreds of unique games, with a range of game types and styles available for players to choose from. It is important to understand the different casino games for UK players that are available when you play online, in order to help you make an informed decision of which games are best for you to play. There are a range of table games available, including dice games and card games. The most popular of these games are blackjack, baccarat, roulette and table poker. There are entire suites of these games available with the possibility to find more than ten variations of each at a single online casino. Slots are the most popular casino games available online. Top online casinos may offer hundreds of unique slot titles and these come in different variations. The most common types of slot games are classic games and video slot games. Video slots tend to have more modern graphics and a range of bonus features, although some lack bonus features, while some classic games do have basic bonus features. Slots come in a range of themes with unique graphics and animations to suit all types of preferences. Video poker is a simplified poker-type game played on a slot-like machine. There are large suites of these games available at any online casino with a range of variations to choose from. These include single hand and multi-hand games with up to 100 hands available. Jackpot games are exciting as they offer growing progressive jackpots. Progressive jackpots are most common in slot games, but most casinos offer progressive jackpot table games as well. There are specific requirements for being eligible for the progressive jackpot in a game so make sure you are aware of the rules before you begin. Scratch cards – These traditionally land-based instant win games are becoming more popular at online casinos and some casinos offer a range of games to choose from. Keno – This lottery-style game is ideal for players who enjoy the thrill of a lottery with the chance to win a huge payout off a small bet. Bingo – While there are dedicated bingo sites, some online casinos offer a few bingo variations for players to enjoy. Live dealer games – These are a growing category of games which stream live dealers in action, giving you a land-based casino experience from home. Typically, you can enjoy live blackjack, roulette and baccarat, although some casinos offer other variations as well. Knowing your options will help you choose the game that will most appeal to you for its style, graphics and bonus features. With so many choices, there is something for everyone. IT assignment help from expert homework service. You will get professionally written IT assignments only at Usessaywriters.com IT Homework got you stuck? Myhomeworkdone.com is the top homework assistance company.